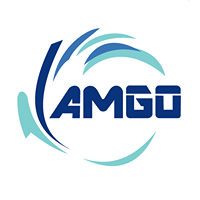 AMGO Sdn Bhd is a progressive company with experience in marketing water filtration system. Besides all range of household water filtration products, we also provide wholesale service and OEM for water filter system. In the effort to provide consumers with the best water filtration system in terms of convenience, reliability and cost effectiveness, AMGO provides multiple choices with range from legacy series to contemporary series. To even live up to the standard, we have few patented and patent pending products to fulfill customers' need who are looking for a unique and high effectiveness products. Our products provide a cost effective way for people all around the world to benefit from cleaner water, whether at home, work, play or on the move. Our company's ethos is modern management, including expert in marketing strategies by providing finest quality products at reasonable price. We also rely on high-tech product, innovative design, stringent quality control, exquisite technique and with total customer oriented service. Today, We are venture into new market which including household products. Thus, We need to build more team members to join our company.